Some insurance agents will force you to avail life insurance plans with a high sum assured. This is because they get high commissions on such life insurance plans. You have to pay a higher premium on life insurance plans, which have a high sum assured. Before availing a life insurance plan, you need to identify your insurance needs and see if this life insurance plan, matches it. Do not over insure yourself or avail unnecessary life insurance plans. According to a thumb rule, you should avail life insurance cover, which is 10-15 times your current annual income. You should also consider your outstanding loans especially high value loans like a home loan, while calculating the cover required. If you avail a life insurance plan with too a high sum assured which you do not need, you will end up paying more premium. Many insurance agents will force you to avail an endowment life insurance plan. They promise a good bonus and also a high maturity amount, if you survive the term of the plan. But, have you ever thought of why insurance agents force you to avail endowment life insurance plans? This is because they get around 30-35% of commission on the premiums you pay, especially in the first year. Endowment life insurance plan is not a pure risk protection plan and does not offer high mortality cover. If you want your family to enjoy the same standard of living they currently lead, when you are not around, you should avail term life insurance. According to IRDA rules, insurers will give you a time of 15 days called a free-look period. The insurance company will mail you the policy documents, once you opt for the policy. The 15 day free-look period will start, once you receive the policy documents. You now have time to study the life insurance plan and decide whether the plan fits your needs. If you find the life insurance plan doesn't meet your needs and has some hidden charges, you can return it during the free look period and get a refund. A small part of the amount will be deducted. 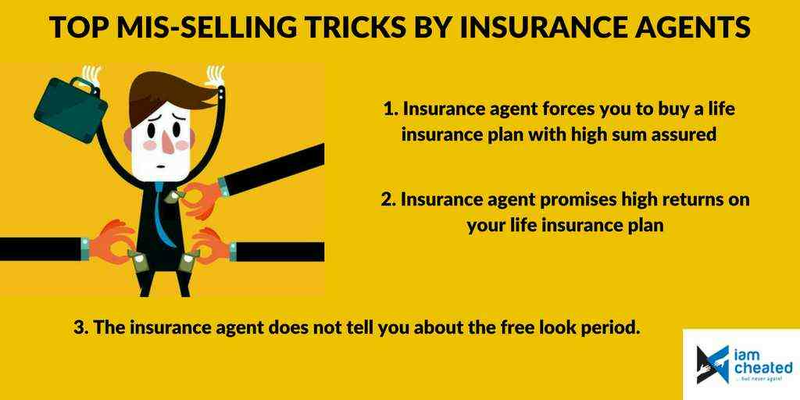 If your insurance agent has not mentioned the free look period, hidden fees and some features in the plan which don't meet your needs, he is trying to mis-sell this plan, just to pocket commissions.